Like people in many countries around the world, Canadians sure do love their beer. Forget the British penchant for room-temperature beer, Canadians like their beer cold and plentiful, consuming some 22-million hecoliters (one hectoliter = 100 liters) of beer in 2014, with some 84 percent of that total reserved for beers brewed within Canada, according to data compiled by the Beer Canada trade association in its 2015 report. While much of that total comes from popular consumption of the beers produced by a few of the big national breweries, the craft brewers beer market has been a popular market to tap for the inquisitive consumer looking to expand their taste palette. Canadian per capita beer consumption in 2014 was 63.35 liters—based on the total population—garnering a global 25th ranking. 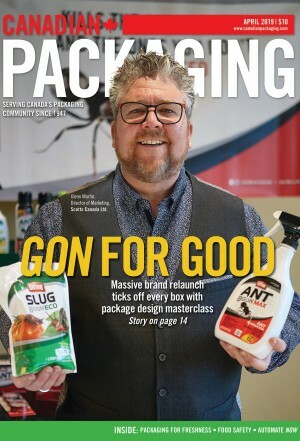 “So there’s room for growth,” Nita Beer Company Inc. chief financial officer Bridget Carey told Canadian Packaging during a recent visit to their Ottawa-based beer brewing facility. Carey and brewmaster husband Andrew Nita and a host of other private investors: Wesley Ross, Dave Brown, Jonny Vandewint, Shane Gregan, Andre Ouelette and Tyler ‘Poncho’ Patterson; and three employees help produce around 35,000 liters of beer annually. “Of course, that’s the recent past—we do have the capacity to produce 110,000 liters,” notes Carey about the 2,100-square-foot facility that bears her husband’s family name. 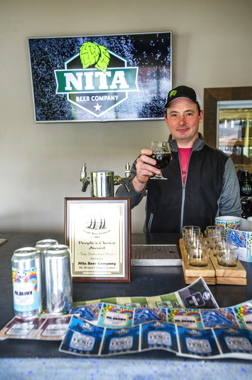 The brainchild of founder and brewmaster Andrew Nita, Nita Beer Company Inc. currently has annual capacity to produce 35,000 liters of craft beer. Although currently on a leave of absence from Algonquin College in the Electrical Apprenticeship program to get the newly-opened Nita Beer business up-to-speed, professor Andy Nita and his wife live close to the brewery which is situated near to the Ottawa downtown. She says that her husband has always loved beer ever since he can remember—he was accepted into a brewing school in Scotland as a teenager—but initially opted to pursue other educational and career choice. But unlike those who simply imbibe beer, he still had it in the back of his mind that he wanted to pursue a career that helps make beer great. Nita Beer was formed in April of 2014, but because any great beer is made with more than just a love for the wobbly pop, Nita undertook a five-year odyssey beginning in 2009, to immerse himself in the art of beer. While Carey is only partially-joking about agreeing to Nita’s idea to form their own brewery as a means to reduce household beer expense, she knew that once her husband set his sights on something, he was going to do it and do it well. 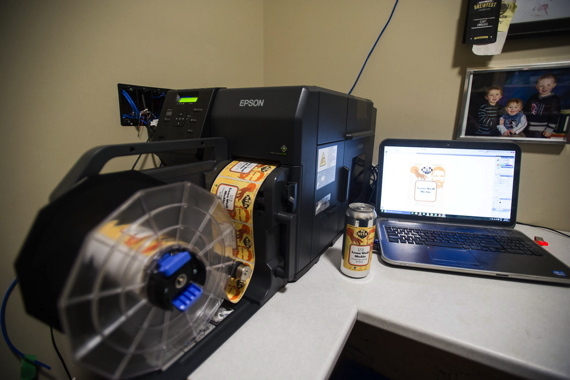 Purchased via DuraFast Label Company, Nita Beer uses the Epson TM-C7500G label printer to print high-quality short-run labels for its canned beers. After tearing through literally thousands of pages of brewing knowledge, Nita constructed a small beer batch system with a capacity of 30 liters. A sample of Nita Beer labels produced on the Epson TM-C7500G label printer that provides the brewery with flexibility and economical short-run label production. Along with his teaching, Nita was also working as an electrician/contractor, and for eight months or so he experimented with his beer recipes and enticed his happy co-workers after work to sample his fine ales. While the feedback was grateful, it also suggested that Nita open his own brewery, with many of those people putting their money where their mouth was to become investors. Flavored beers including Lone Wolf McAle—an easy-drinking 5.5% beer spiced with fresh diced ginger; and the 5.5% Mr. Brown, a coconut-flavored brown ale. Nita beers are available at its retail store where it brews the beer—also offering free tours and free beer samples, but notes that as of February, it delivered its first beers to a few local area Beer Store outlets, and have begun the application process to enter some of its tasty beers into the LCBO (retail outlet stores of the Liquor Control Board of Ontario). According to Carey, the question of competition in the beer industry depends on whom one considers to be the competition. “Nita Beer is, quite obviously, a craft beer company,” she begins. “And, while the craft beer segment is increasing in market share and is impacting the big boys, the number of craft brewers is growing. “In Ottawa, there are a few fairly large craft beer players, but also many smaller players—with the numbers still growing,” offers Carey. Carey and Nita agree that the brewery manufactures great beer, believe that the continued quarterly sales growth is due to a willingness to also learn from monthly losses—to determine what caused them and how best to avoid them. “It’s a learning curve, to be sure, and not all fun and games, despite a penchant to want to have fun and games,” relates Nita. Carey says that a key focus for the brewery has been its ability to be community-focused, something that was made easier by its ‘community label’ program. “We help artists, community organizations and volunteers obtain public visibility by adding their art or community events to part of our label,” explains Carey saying they apply a second label of artwork and artist details to a can or bottle. “It’s via this program and our ability to change our small-batch labels, that we get to co-promote with the artist,” she notes. 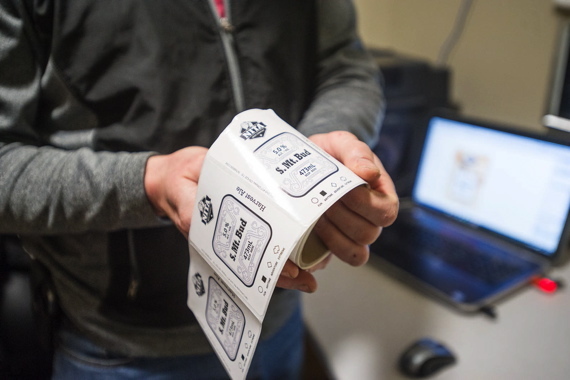 To produce the short-run labels necessary for Nita Beer to interact with local community events, it uses label design software with its Epson TM-C7500G label printer. 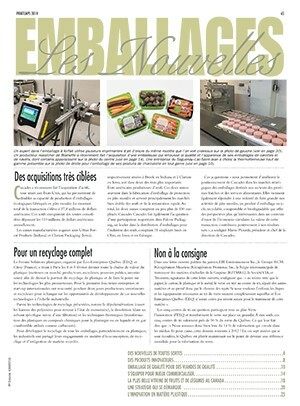 The label exchange that Carey mentioned is due to the brewery’s purchase of an Epson TM-C7500G label printer it purchased from DuraFast Label Company, a division of Sector Nine Distribution Ltd.
Because some of Nita Beer’s bottling/canning runs are limited to 500, while others can go beyond 10,000, Carey says the company didn’t want to be stuck with an upfront pre-printed can investment if they didn’t think the beer would be a long-term beer. 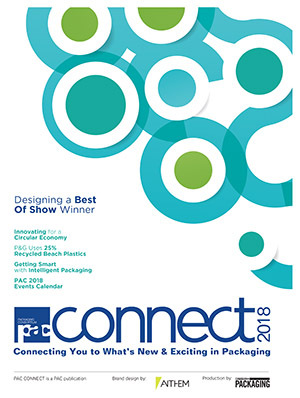 “We achieved our goal of flexibility and short-run label production with the purchase of the TM-C7500G label printer,” relates Carey. 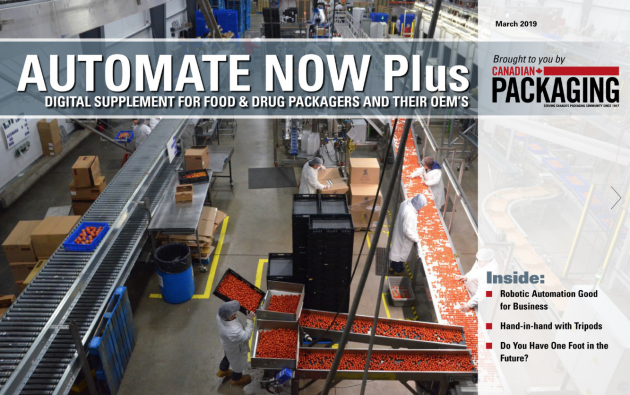 DuraFast Label Company, located in Toronto, serves as the one-stop shop offering complete solutions for company labeling needs serving the growing industrial and DIY (do-it-yourself) label printing markets. Specialists in labeling, DuraFast also offers color label printers, ink cartridges and label media while offering high-quality product and service. The Epson TM-C7500G color label printer is available in two versions: matte and gloss, with Nita Beer opting for the latter, as the “G”- gloss version, as DuraFast’s Basat Khalifa informed them, is better suited for printing beer labels, not to mention labels for food, vitamins, baked goods, coffee and tea products, wine and cosmetics. 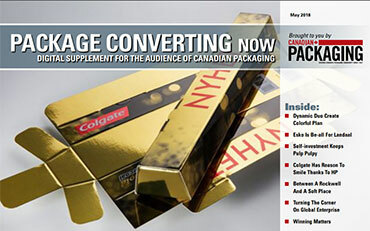 “It’s more of an industry standard in the beer industry to utilize glossy branding to not only give it more of a polished finish, but also to capture the consumer’s eye,” explains Nita. According to DuraFast, the Epson TM-C7500G label printer can print high-quality attractive 1200 x 600 dpi (dots per inch) labels on glossy label materials such as glossy polypropylene, glossy clear levels, high gloss paper, and glossy polyester labels. Featuring Epson’s most advanced printhead technology “PrecisionCore linehead”, it is capable of printing—in color—at a maximum speed of 300 millimeters per second at 600 DPI high resolution. Capable of providing clear fine print with excellent gradation, Carey remarks that it is the printer’s reliability and speed that has the whole brewery excited. “The Epson TM-C7500G is fast,” she begins. “We’ll ask a member of our team for 250 custom labels, and within a few minutes of the request we have them in our hands and ready for application. 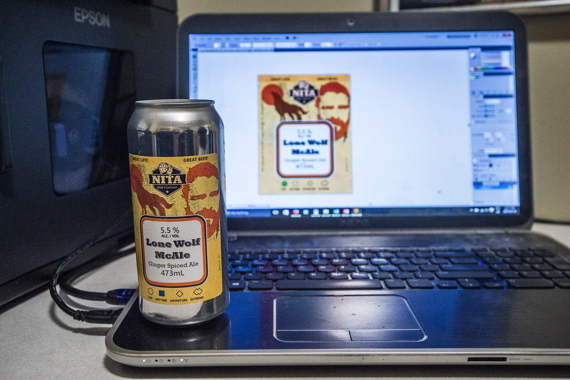 “As well, the print quality of the Epson TM-7500G allows Nita Beer to produce labels with vibrant colors and sharp detail on demand and in-house, which allows us to keep production costs down,” Carey notes. a growler filler, and a Nita-designed and built four-head manual bottle filler. 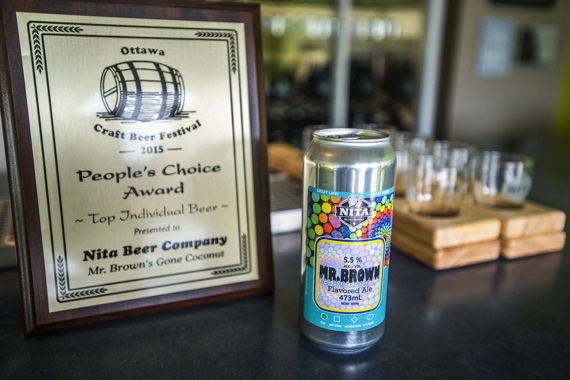 Being awarded a People’s Choice Award seems fitting for Nita Beer, considering it markets its beer and short-run labeling around specific community events. Despite the automation, Nita Beer’s are still made with a lot of manual labor. “The entire brew process is manual,” relates Carey. “Our friend Matt—a very skilled craftsman—made an authentic mash paddle that we use instead of a motorized rake. Old-time traditions aside, maintaining consistent quality is very important to the consumer and to Nita Beer. 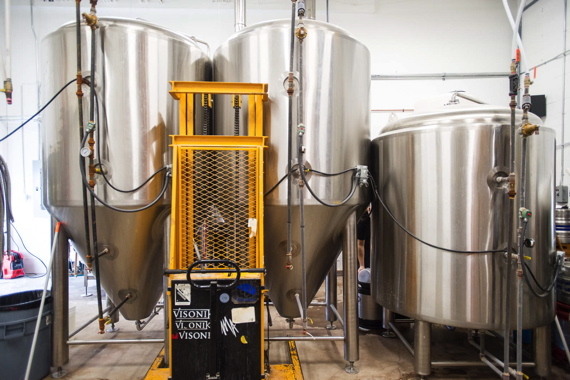 “We also have a glycol system and temperature controls that are imperative to ensuring our fermentations are controlled to the proper recipe to produce a great beer every time,” relates Nita. Carey says the brewery enjoys being a small craft brewer: “People seem to like that we gear everything towards the craft—our beer, our labels, and especially the community approach. Nita smartly agrees with his wife’s assessment of the brewery’s state of the union. “We are constantly thinking about what it means to be a craft beer manufacturer, and quite frankly, we have decided it goes far beyond making great, sometimes crazy beers. “We know that we won’t go very far if our beers are not great, but we know there’s more to a business than just its products. “For us, craft is also about being a part of our community,” sums up Nita. “We have been so excited by all the people that have supported us by purchasing and trying our beer, by helping out at festivals and in the store, by giving us feedback on all of our operations and our beers, and by giving us creative ideas so that some days we can actually let our own brains turn off.